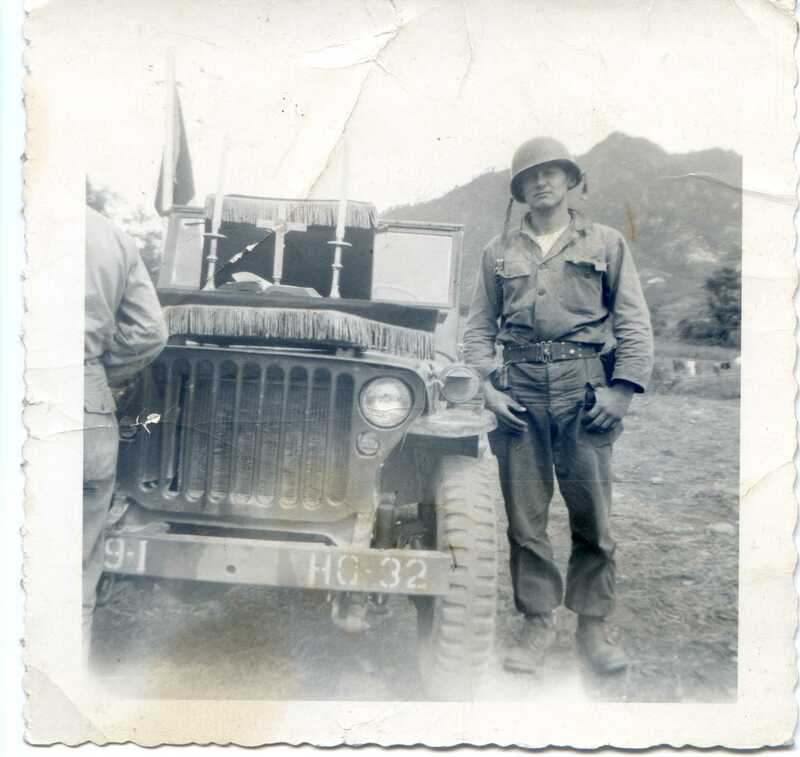 Chaplain kit set up on hood of Jeep for worship service for CO M, 19th Regt, 24th Div, U.S. Army in Chunchon, Korea in September 1951 with Joseph S. Barto (a Soldier in CO M) from Lorain, OH (author’s collection). Entering the Korean War just a few years after the end of World War Two, veteran chaplains continued to carry and use the WW2-era chaplain kits. As the Korean War continued, new more durable kits were produced and issued supplied in a hard metal case with fold out “wings” and a cover to be made into its own “altar.” As with other wars, these new kits included variations for Protestant, Catholic and Jewish chaplains. These kits were used into the Vietnam War until a more lightweight kit began to be issued. Chaplain (CPT) Charles McGavern was an Episcopal chaplain who served both in WW2 and Korea. He carried with him a portable altar not typical of most chaplains serving at the time. His was made of wood and when open had a backing similar to a tryptic. The base of the altar opened which had felt-lined compartments to store the altar ware. It all folded up into a configuration like a small suitcase. This kit is like the one used by Chaplain Metcalf during WW2 which has religious pictures on the the tri-folding back. 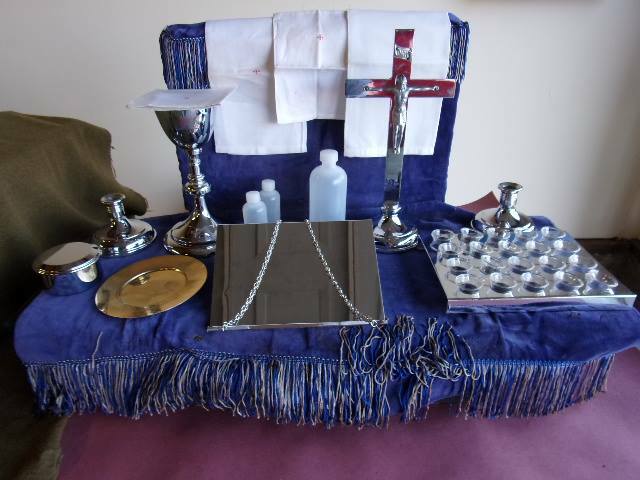 It’s pictured on the WW2 Kit page (the following pictures of Chaplain McGavern’s kit are courtesy Thomas Lee). Chaplain McGavern’s portable altar opened (photo courtesy Thomas Lee). The cross and candle sticks are all that remain of Chaplain McGavern’s altarware (photos courtesy Thomas Lee). This next kit is dated 1962 (so after the Korean War) but similar to those being produced in the 1950s and would have been used into Vietnam until the more lightweight kit was released (author’s collection). This kit from World War Two was primarily used on troop transport ships. It contains double individual communion cup trays, a bread plate and a chalice. (author’s collection). The inside, though in this kit, the individual cup communion trays and chalice are not original (author’s collection). Hello. 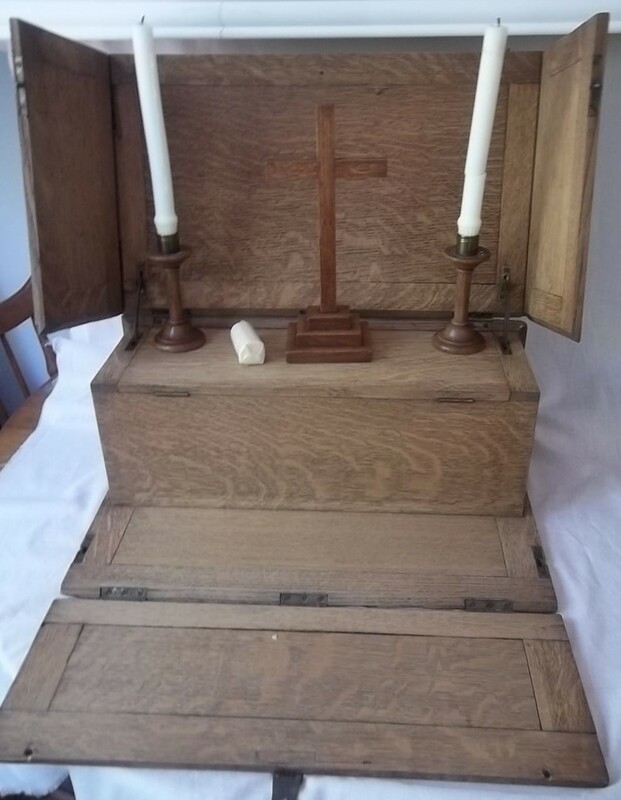 I found your site while researching a portable altar at our Episcopal parish. It is almost the spitting image of Chaplain McGavern’s, right down to the wooden cross and candles. Aside from a couple of very faint ghost marks (two ‘C’s) on it (and an interior of royal blue plush), though, it has no identifying markings and we don’t know how it came to the church. Can you tell me anything else about Chaplain McGavern’s box or its possible origins? I would much appreciate it. I’m pretty sure his and ours came from the same era/source. Hello Paula, Thanks for stopping by! It’s very interesting that your parish would have one of these kits. 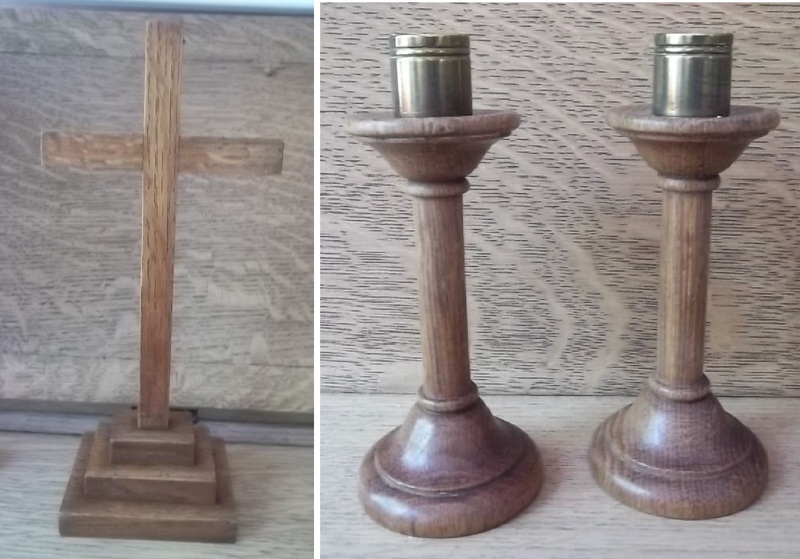 I would imagine it was either left by a priest who was once a military chaplain and used it during deployment or perhaps was a kit ready to be given to a priest entering military service as a chaplain. It is an unusual kit and not all that common, like the kits issued by the military or given to chaplains by their endorsing denominations. As you may have noticed on this website, similar kits were used in both WW2 and the Korean War and may have been a “private purchase” being a more desirable altar set-up than the issued kits. I have not come across any period photographs of similar kits being used in the field, however. Because of their rarity, I really don’t have much information, other than speculation, on their origins or use. I’m sorry I couldn’t offer you more. 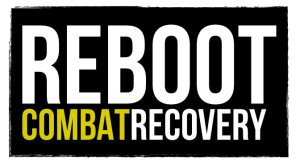 If you come across more information in your research, I would love to learn from you!